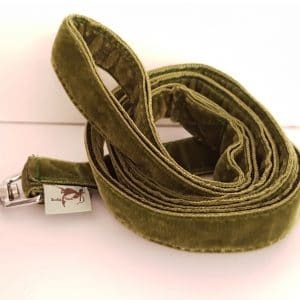 A 1.5″ deep collar and 1mtr long lead. 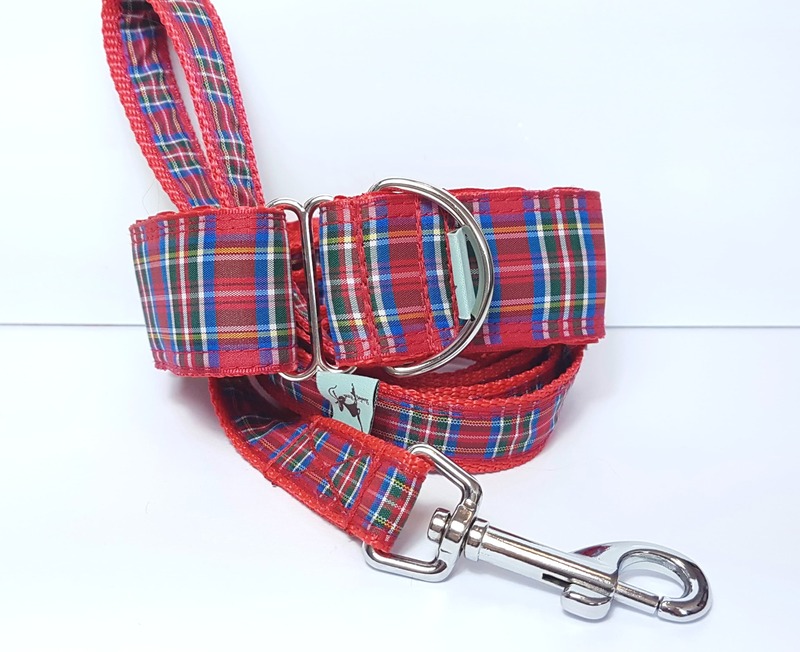 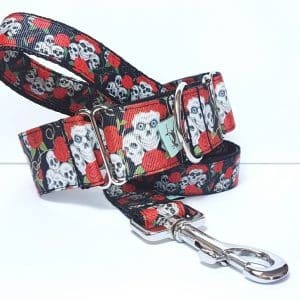 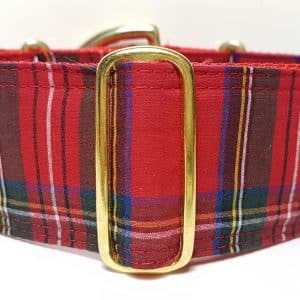 This collar and lead set has been hand made with a red tartan trim stitched onto a red poly webbing and lined in red satin. 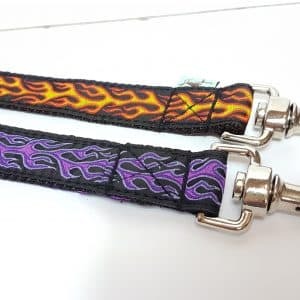 All collars and leads are made with strong welded or cast hardware.